These changes went live after nearly six weeks of testing and will be made for everyone except certain Asian languages. 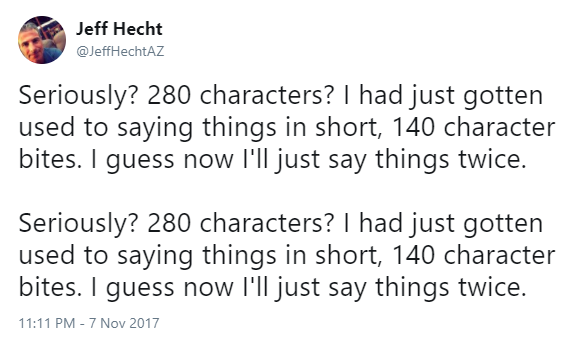 The 280-character change comes after a series of updates over the past two years. The company removed limits for character counts for photos, polls and other multimedia. They also removed character restrictions when connected users send private, direct messages to each other. These moves have come under increased pressure primarily from investors who are concerned with the market cap and stagnant growth of the company. The 140-character limit is the essence of what has defined Twitter for a decade: Brevity. Those who wanted to be more verbose were encouraged to write a blog post and link to it. We all are aware of the rants of a few on Twitter that go across multiple tweets. We typically ignore what they say, and rarely are such rants positive. Twitter claims that those who were involved in the test had “more engagement (Likes, Retweets, @mentions), got more followers, and spent more time on Twitter.” But little is known about those who were involved in the six-week testing period. We don’t know if they were accounts that typically receive more engagement than others. We do know that there were 1,971,627 tweets that used the phrase “280 characters” in the six weeks leading up to official rollout. According to Twitter, only nine percent of tweets have historically reached the 140-character limit. During the recent test Twitter claims only 5 percent of messages were longer than 140 characters, and 2 percent went over 190 characters. 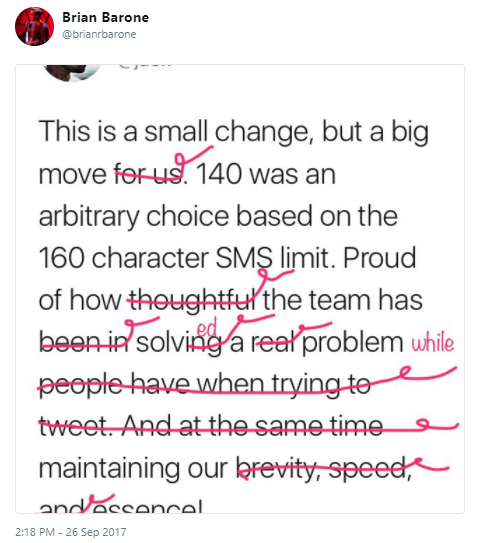 Twitter also claims that only 1 percent of tweets reached the 280-character limit. 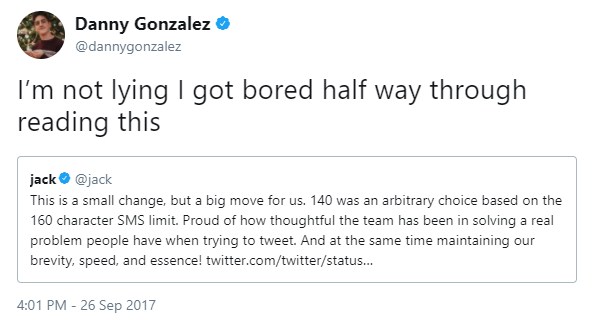 Although Twitter claims that most tweets during the test were still under the 140 character limit, this is most likely due to habit, not access. The result will undoubtedly be longer tweets and more verbose discussions on Twitter over time. Consumers and B2C companies will have more space in which to complain, respond and post information. It will also help companies better comply with disclosure rules and regulations. Be brief: The persona you target has a short attention span. Like any reader, they will scan through content quickly to determine what content is relevant for them. Research shows that tweets that are 100 characters or less (or 120-130 with a link), tend to get better brand engagement. As a result, shorter, messages that are quickly understood are ideal. Stay creative: Avoid the temptation to go over 140 characters. The space limitation forced creativity, made better use of multimedia and kept brands messages short and to the point. 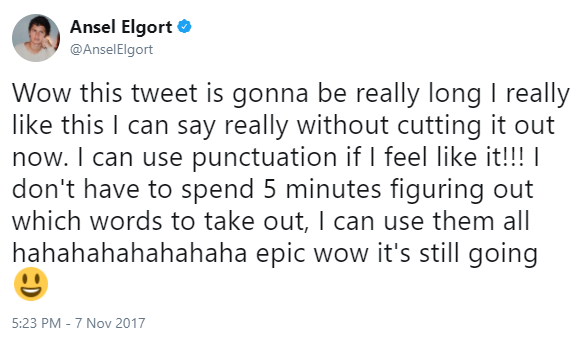 Longer tweets will likely hurt your brand not only because of short attention spans, but because of laziness that causes unnecessary words and repetitiveness. That said, don’t use unnecessarily long hash tags as part of your creativity. Use experts: There will be a temptation to allow others who do not specialize in writing for social media to write tweets. This will affect the creativity, brevity and impact of social posts. The more verbose your tweets are the less they will be digested. Experts know how to craft impactful tweets. Don’t publicly air issues: There will be a temptation to try to resolve customer support issues on Twitter the way it is done via email. The best practice is still to reply and move the issue to a private channel to resolve. Doing so will still show responsiveness publicly, yet better resolve the issue with happier customers that have more information. Besides, who wants to read someone’s entire support conversation on Twitter? It ends up clogging up feeds and boring users with unnecessary content. Focus on customers: Although we recommend shorter tweets, there will be times where longer tweets are needed by your customers and followers. While you shouldn’t feel constrained, longer tweets should be the exception not the norm. 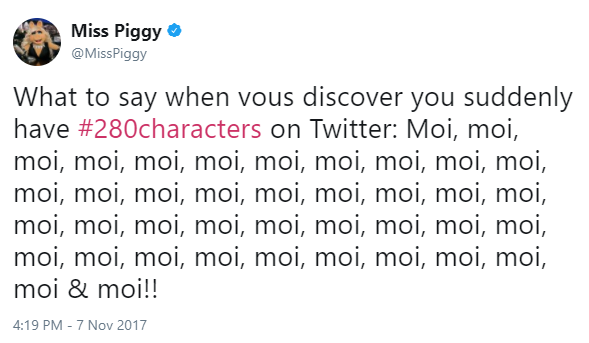 If it can be said in 280 characters, it can likely be said in 140. In a similar vein, don’t feel the need to fill space or brag about how good your products are. Customers don’t want to hear about you, they want to hear about things that benefit them with a focus on them. B2B companies should continue to watch how other brands – and users – react to the change.